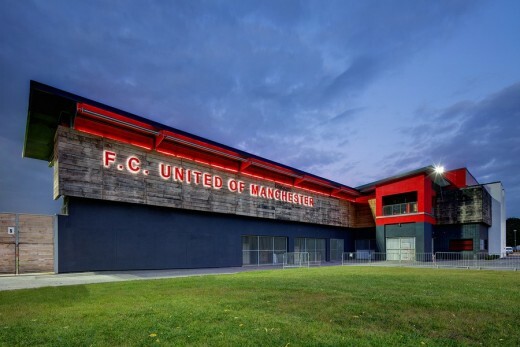 FC United of Manchester launched itself into the new football season earlier this year making the most of its new £6.3million stadium and community facility at Broadhurst Park, Moston. 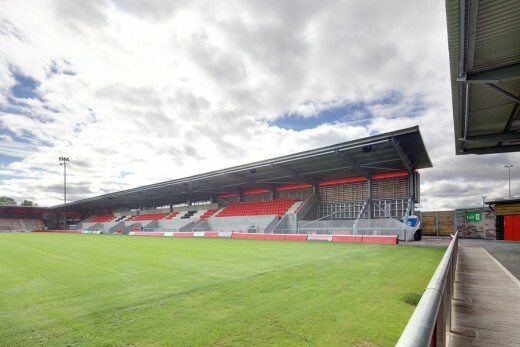 Fans have celebrated the new 4,400 capacity stadium designed by architects IBI Group, by watching the recently promoted Vanarama League National North side compete against teams just two levels below the Football League for the first time in their history. 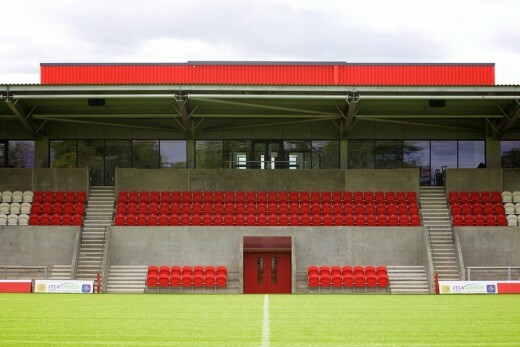 FC United of Manchester was established when a group of Manchester United supporters, dismayed by the Glazer takeover of their club and the increasing commercialisation of the modern game and alienation of ordinary matchgoing fans, decided that it was time to create a football club that belonged to the fans. The new stadium was only made possible by a groundbreaking ‘community share scheme’, with fans raising a sizeable £2million of the sum required and other social financing and crowdfunding initiatives which in total have raised almost half of the cost of the project. 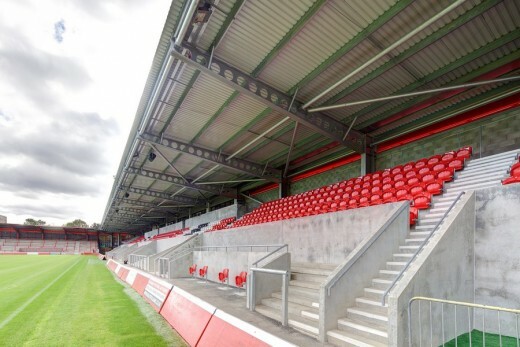 The South Stand is designed in an L shaped configuration, which improves the internal atmosphere during a match and protects local residents from crowd noise. 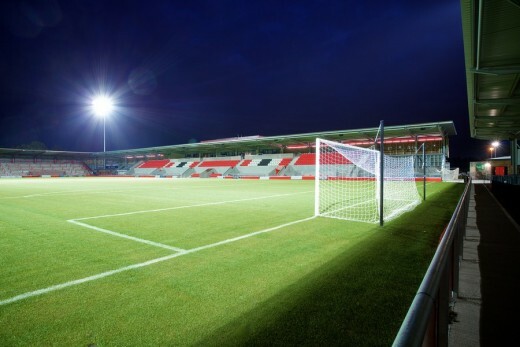 In preparation for the club’s success, the West and North stands cater for future expansion that can accommodate additional terracing for growing ticket sales. 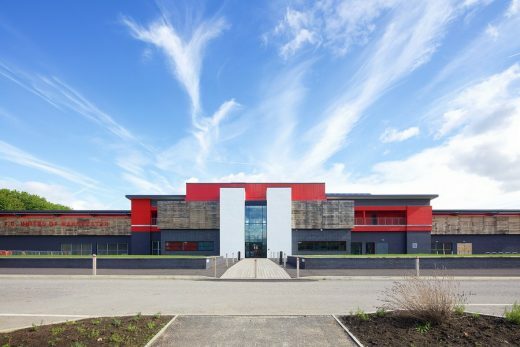 The stadium provides the players and fans with high quality community facilities including conference and function rooms, a hi-tech floodlit 3G pitch and a further two grass pitches for community use.